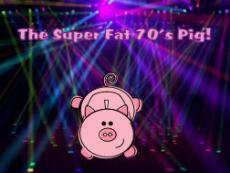 The Super Fat 70's Pig! There once was a super fat pig, He loved to do disco, a jig. He was so funky fresh, But he ran our of cash! Couldn't even afford an Afro wig! © Copyright 2019 Angelica Walker. All rights reserved. MY FINGER IS A FUNNY THING! It's Called A World War For A Reason!